I must admit I’ve often walked past the small building without paying too much attention. I just assumed all the places on that particular strip, between Circular Quay & the Opera House, were tourist traps. I was prepared to be proven wrong though as, if their name is anything to go by, they ought to know a thing or two about oysters. 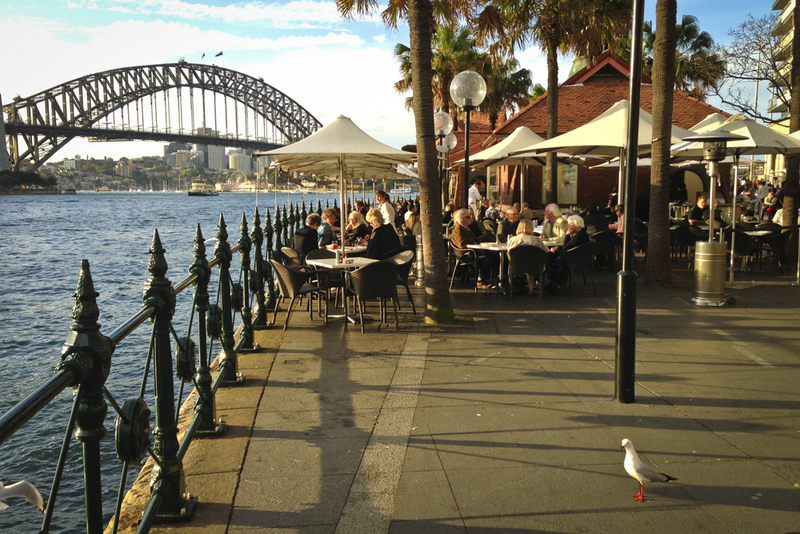 Sydney Cove Oyster Bar is also celebrating their 25th anniversary this year, so they must be doing something right, other than a great view! 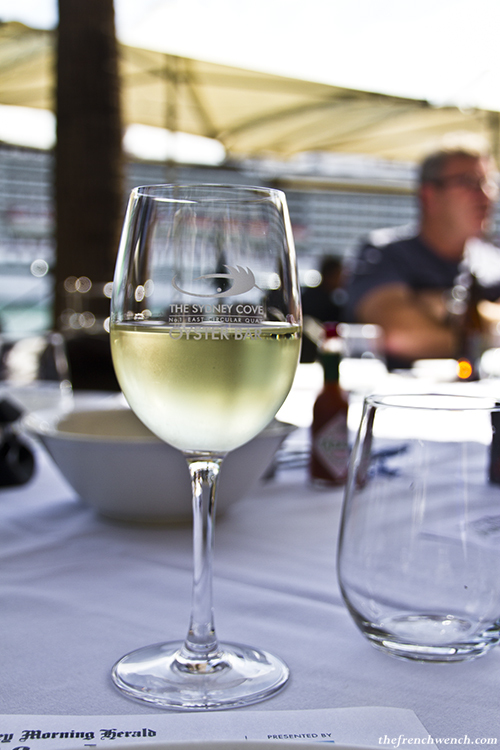 The day started with big grey clouds threatening to put a damper on our barbecue, which was a bit of a worry given the restaurant only offers “al fresco” sitting, but they gave way to a glorious Sydney sunshine just in time for our arrival. Everything seemed to fall into place for a perfect day by the water. We were greeted by owner Philip Thompson who invited us to choose from a selection of wines by Simon Gilbert (Orange), which will be charged separately from the BBQ, by the glass or bottle: I chose a glass of his 2012 Riesling ($10) and later on tried his Rosé ($9), which was how I like it, nice and dry. You can’t realistically host a barbecue without beer, and guests seemed to really appreciate the range of beers ($9) and cider ($8) by Sydney Brewery, which operates from World Square… can’t do more local than that! After we all settled down with our beverages, the friendly waitstaff served us the house specialty: huge platters of Pacific & Sydney Rock oysters, freshly shucked and simply served with lemon wedges and red wine vinaigrette. 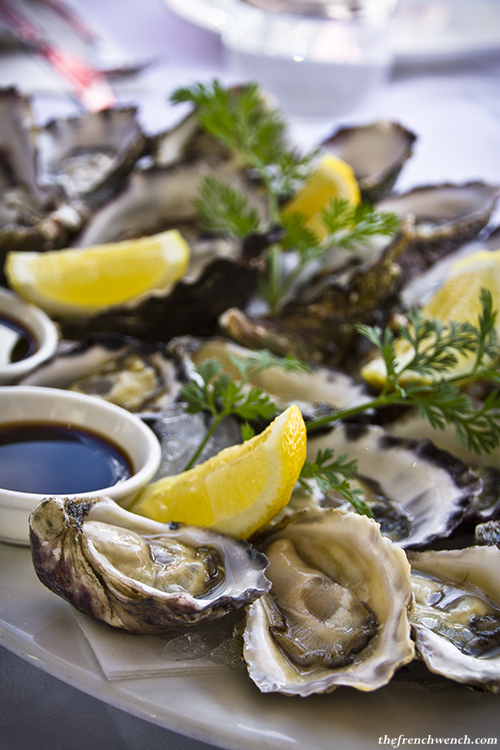 The Pacific Oysters were from Coffin Bay, South Australia and the Sydney Rock Oysters from Pambula, South Coast of NSW. 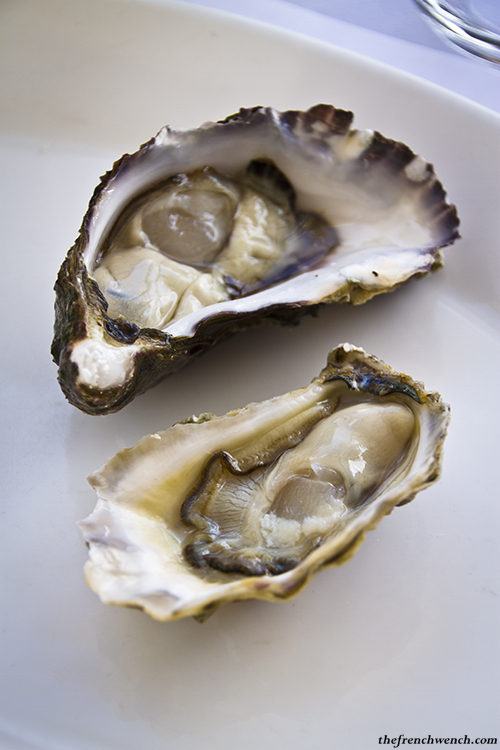 Both varieties were fantastic, but if I had to choose, my favourites would be the Sydney Rock oysters, which were smaller and had a more distinct flavour. 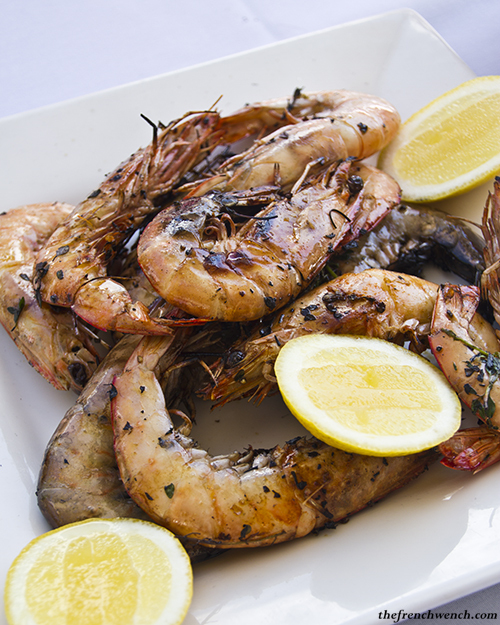 Meanwhile, Chef Rhys Ward, who in his free time is a lifesaver at Bondi beach, was busy working on the barbecue, cooking huge King prawns on the grill seasoned with salt, pepper and herbs. They were soon brought to us with an assortment of mayonnaises and devoured straight away. Quite messy to eat, but oh so delicious. 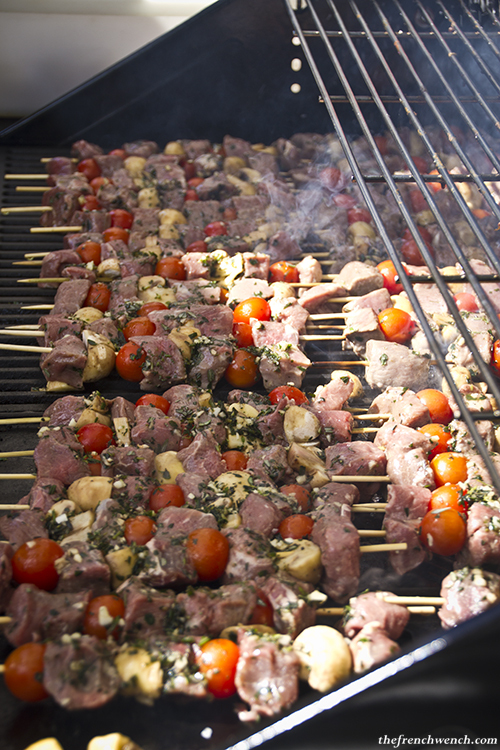 The next dish consisted in Lamb skewers with mushrooms and cherry tomatoes seasoned with garlic and rosemary and served with a light and herby sauce. They arrived on our plates perfectly cooked, and as promised in the menu, very tender. I think I might have had two or three of these! Luckily the following dish was a very light and “zingy” Octopus salad, with loads of fresh herbs, crunchy sprouts, carrots, peanuts and a bit of chilli, which went down a treat. The Lemon gelato was a perfect way to end the meal on a fruity and refreshing note, and the kids present at the event loved it (as did the adults!). 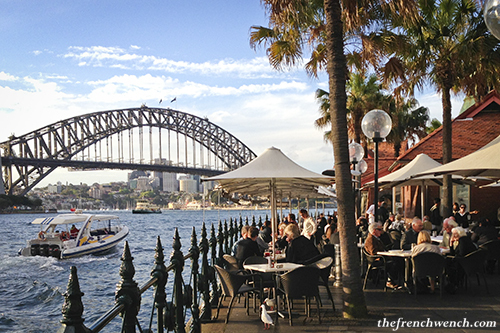 We then stayed on a bit, soaking up the afternoon sunshine, the view and the atmosphere… I don’t think I’ll ever get “blasée” of admiring Sydney Harbour and if the food at Sydney Cove Oyster Bar is always of this quality, I’m more than happy to play tourist again! 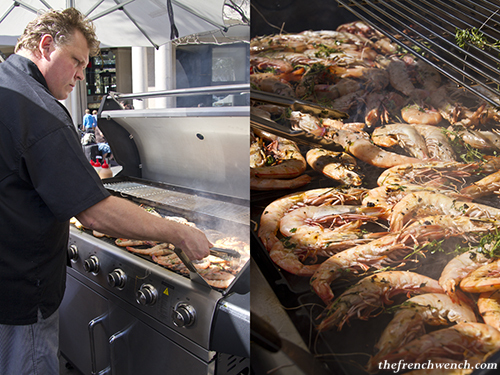 This entry was posted in Events, Restaurants and tagged Barbecue, Circular Quay, Good Food month, SCOB, Seafood, SMH. Bookmark the permalink. You can play tourist again taking us there when we’ll visit, maybe next year !! All these dishes look delicious ! Thank you Tina, I loooove oysters, and these were really nice!